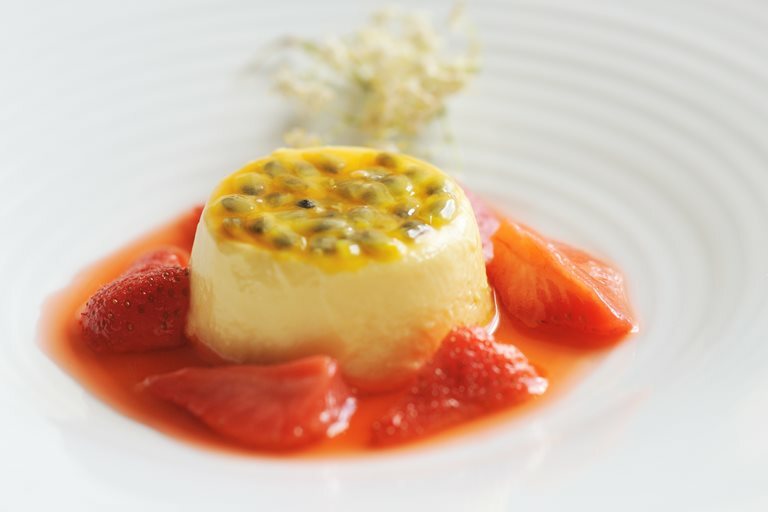 This passion fruit recipe with strawberries is a beautifully refreshing dessert that's quite simple to make. Simon Hulstone from The Elephant in Torquay poaches the strawberries in elderflower cordial for a fantastic flavour combination. You may choose to remove the passion fruit crème from the mould to serve, but the summer dessert is just as delicious in the ramekin.